According to the needs and demands of our clients, we are engaged in supplying, trading and exporting a wide range of Aerospace Material. These products are finely designed and offer hassle free performance. 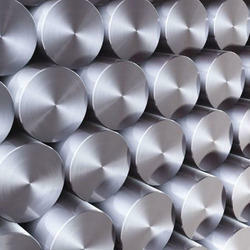 Type 422 Stainless Steel provides both outstanding corrosion resistance and exceptional wear resistance. 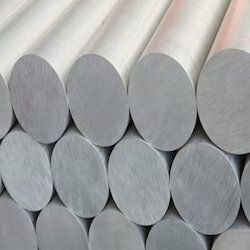 To obtain the best possible strength and wear resistance, oil quench alloy 422 at a temperature between 1800° F and 1950° F. Alloy 422 Stainless Steel is commonly used in dental and surgical instruments, cutlery, plastic molds, pump shafts, steel balls, and numerous hand tools. 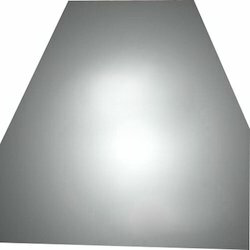 Because of its air hardening properties, type 422 Stainless Steel is not often welded, although, it is possible. When welding with stainless steel type 422, preheat the steel to a temperature between 300° F and 400° F. After welding, temper the work piece at temperature for two hours. When hot working, it is recommended to gradually raise the temperature to 1400° F and then gradually raise the temperature to anywhere from 2000° F to 2200° F. While working, avoid letting the work temperature drop below 1600° F by frequently reheating the steel. To prevent cracking, furnace cool the work piece slowly after working. Any extreme cold forming will cause alloy 422 Stainless Steel to crack, but it can endure minor cold work. 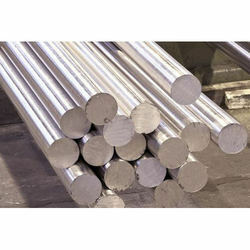 440C Stainless steel is a type of modern steel and famous for its high corrosion resistant, wear resistance, strength and hardness qualities, among all the stainless alloys, capable of attaining (after heat treatment) the highest hardness (60 HRC). ASTM A276, 279, 479 SMO 254 Plates, SMO 254 Bars, Rods Wires SMO 254 UNS S31254 Round Bars, Hexagon Bars, SMO 254 Wire Bobbin, SMO 254 Wire Coil . We are Manufacturers, Exporters and Supplier of Wide range SMO 254 Bars, Rods Wires that are using high quality raw materials in mumbai, India. 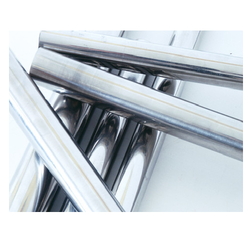 These Rods can be used for include for Heat exchangers, Piping, Valves, Pumps, Flue gas scrubbers among others. We are manufactured these Bars as per the national international quality standards. 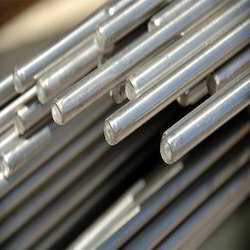 These bars, rods wires in available different grades, specification thickness as per the clients requirements. These are available in various application industry like Pharmaceutical industry, Oil Refineries, chemical industry etc. SSTM A276, 279, 479 SMO 254 Plates, SMO 254 Bars, Rods & Wires SMO 254 UNS S31254 Round Bars, Hexagon Bars, SMO 254 Wire Bobbin, SMO 254 Wire Coil .